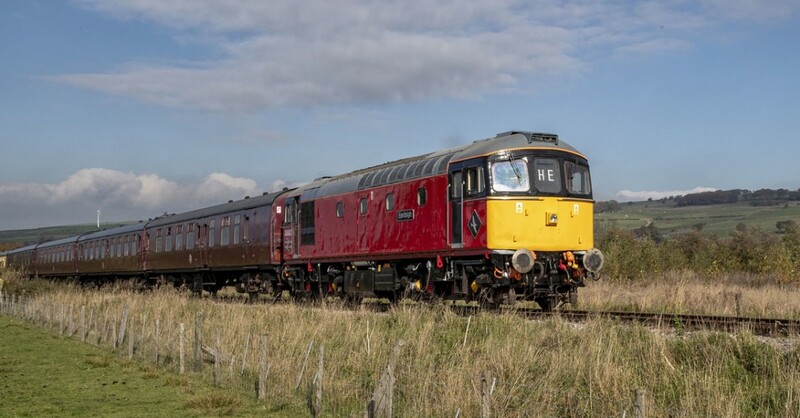 2019 sees the return of an old favourite, with the valley echoing to the sounds of solely diesel locomotives for one weekend only. After a 7 year hiatus this May Day Bank Holiday our heritage collection of diesels take to the rails, and enchant both young and old with the sight, sounds and smells of British Railways. 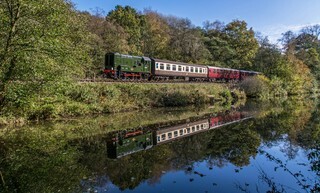 The events timetable offers a mixture of services along our combined 10 miles of railway with our main service set venturing out onto the Cauldon Lowe branch, which offers some of the steepest gradients on a heritage railway anywhere in the world, whilst a smaller shuttle set provides a frequent service along the picturesque Churnet Valley Line. With the opportunity to travel around 60 miles behind vintage locomotives each day, there’s a journey for everyone at our Diesel Gala! 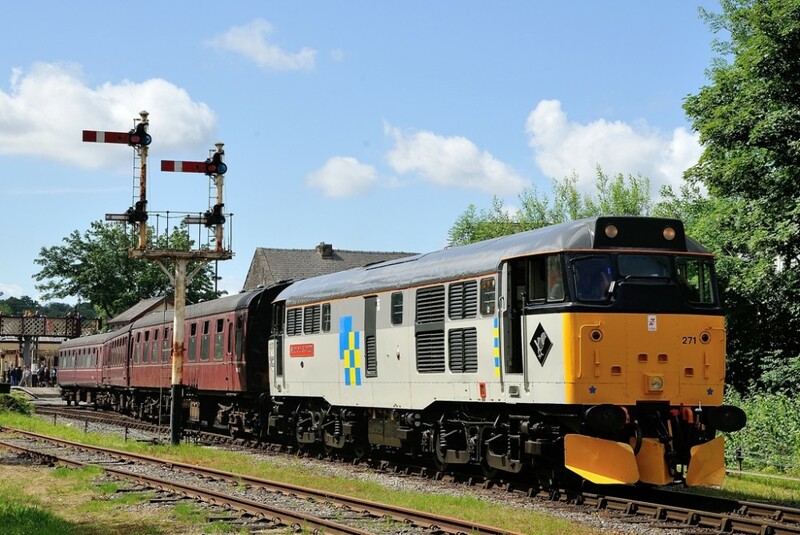 Star of the event will be former BR Class 31 no. 31271 visiting courtesy of A1A Locomotives, making the preservation debut of her class on the Churnet Valley Railway. Bought initially as a source of spares by A1A in 1998, it was decided to restore the locomotive and a return to service was achieved in April 2002. Following bodywork repairs the locomotive was named “STRATFORD 1840-2001” at the National Railway Museum during their RailFest 200 event as a tribute to Stratford’s rich locomotive history – particularly its role in the story of Class 31s given over 75% of the total built were based at this depot at some point in their BR careers. 31271 herself spent her first year in traffic there following commissioning in 1961, before returning again in the late 1980's. Supporting the 31 will be our pair of Birmingham Railway Carriage & Wagon Company Class 33s - commonly known as Cromptons. Built to operate on the Southern Region of British Railways, 33021 “Eastleigh” and 33102 “Sophie” are versatile locomotives that have found their way to Staffordshire in retirement where they now earn their keep as rescue locomotives and on engineering works trains. Taking their turn in the limelight though these powerful locomotives will be able to demonstrate their strength and bring back a few memories for a selection of our visitors as they challenge the 1 in 45 gradient to Ipstones. Making an even rarer appearance on passenger services will be our shed shunters D3800 and "Roger H Bennett". Normally confined to shunting the yard in between normal operating days, these locomotives will be joining in the action and hauling some of the shuttle services along the scenic valley line providing something different for our visitors for this three-day event. 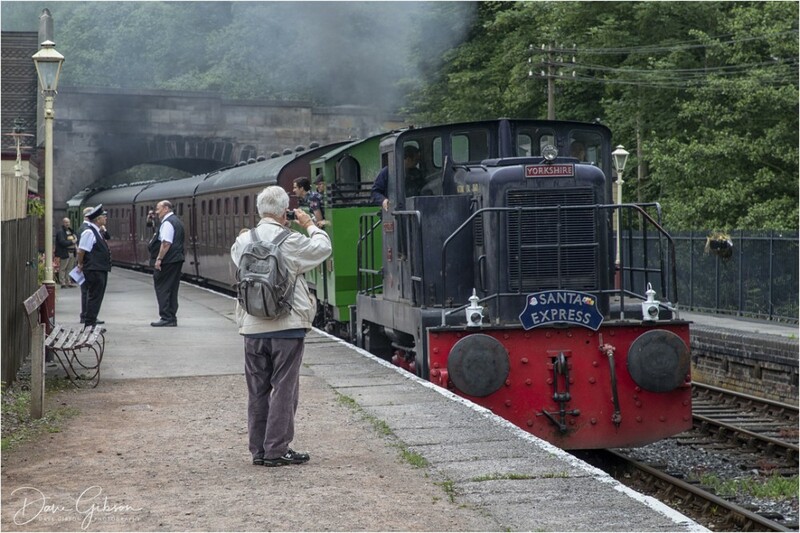 The Churnet Valley Railway takes you on a journey back to the halcyon days of rail travel in the 1950s and 1960s. So come and take a break from the busy urban life, hop aboard a diesel train, and ride in a heritage carriage behind one of our beautifully restored locomotives whilst passing through delightful countryside with riverside views and The Caldon Canal. If you choose to ride aboard our main service set, you can extend your journey and take in the sight and sounds as the locomotive climbs our gruelling gradients to the site of the former Ipstones Station. Such a journey sees you leave behind the quiet and sedate Churnet Valley, working your way through cuttings and bridges before bursting into the Staffordshire Moorlands with spectacular views as far as the eye can see on either side of the coach. You can learn more about the history of both the Churnet Valley Railway and the  North Staffordshire Railway Company in our small museum based at Cheddleton Station, which houses a wealth of information and memorabilia. Fancy a bite to eat during your day out? Then enjoy the traditional atmosphere in our Signals Tea Room at Froghall Station, which offers freshly brewed tea and coffee, cooked breakfasts, lunch including hot and cold sandwiches, cream teas and a delicious selection of cakes. On a cold day bask in the warmth of an open fire and listen to some music on the wireless. Signals Tea Room is wheelchair accessible and child-friendly. Afterwards go and pick up a railway-themed souvenir, keepsake or a gift for family or friends at our delightful and well stocked Signal Souvenir shop at Froghall Station. For further information please visit our Frequently Asked Questions page, where our most common requests are answered for you. If you still have that unanswered query however, feel free to use our Contact Us page to get in touch direct. All advertised locomotives, rolling stock and train services are subject to availability, and therefore maybe altered and/or cancelled without prior notice.